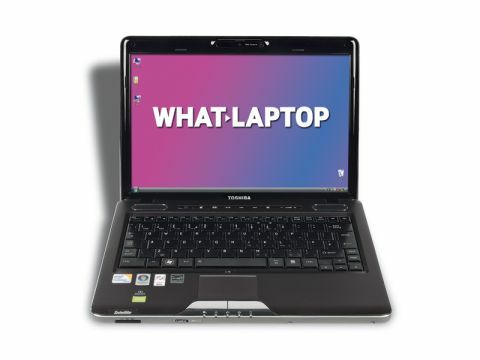 The U500-10Z is the result of a Toshiba Satellite line refresh. This 13.3-inch laptop aims to provide a neat combination of power and portability and, with high-end components onboard, it's a laptop that's easy to use and like. The 1280 x 800-pixel resolution doesn't produce the detailed images of the Sony VAIO VGN-NW11Z/S, but you won't have any problems working with spreadsheets or viewing your photos. A shiny Super-TFT screen coating is in place and can prove distracting in changing light. Build quality is generally excellent. The chassis is built from a tough, patterned plastic that looks great and doesn't show up fingerprints and smudges. Considering how robust the chassis is, it is a surprise to find such a spongy keyboard and, although the keys are nicely spread out, the resulting typing action is disappointing. However, backlighting for the keyboard makes working in low light easy, and a multi-touch touchpad is also included. Embedded above the keyboard, a row of touch-activated hotkeys give you quick access to multimedia applications and Toshiba's Eco Mode feature. This configures the U500's components and hardware to be less resource-intensive and therefore kinder on your battery. The Intel Core 2 Duo processor is joined by 4096MB of memory and ensures that performance is highly impressive. You'll have no problem running resource intensive programs, such as multimedia editing suites, concurrently. We were extremely impressed by the amount of 3D power that the ATi HD 4570 GPU produces. This is the most graphically powerful 13.3-inch laptop we've seen to date and will suit those looking for multimedia functionality on the road. However, using these powerful components comes at a cost to battery life which, at 198 minutes, is something to consider if you will be away from the power for any length of time. A very spacious 500GB hard drive is included, which will store all your files and folders without issue. You'll have no problem connecting to wireless networks thanks to the 802.11n Wi-Fi adapter and the same is true for landed connections due to the Gigabit Ethernet employed. Three USB ports are included, one of which features Sleep-and-Charge technology. This allows you to charge peripherals even when the laptop is switched off. VGA and HDMI out ports are also in place. The Satellite U500-10Z impressed us greatly. The keyboard is still a sore point, but the power on offer in such a compact machine is difficult to ignore.